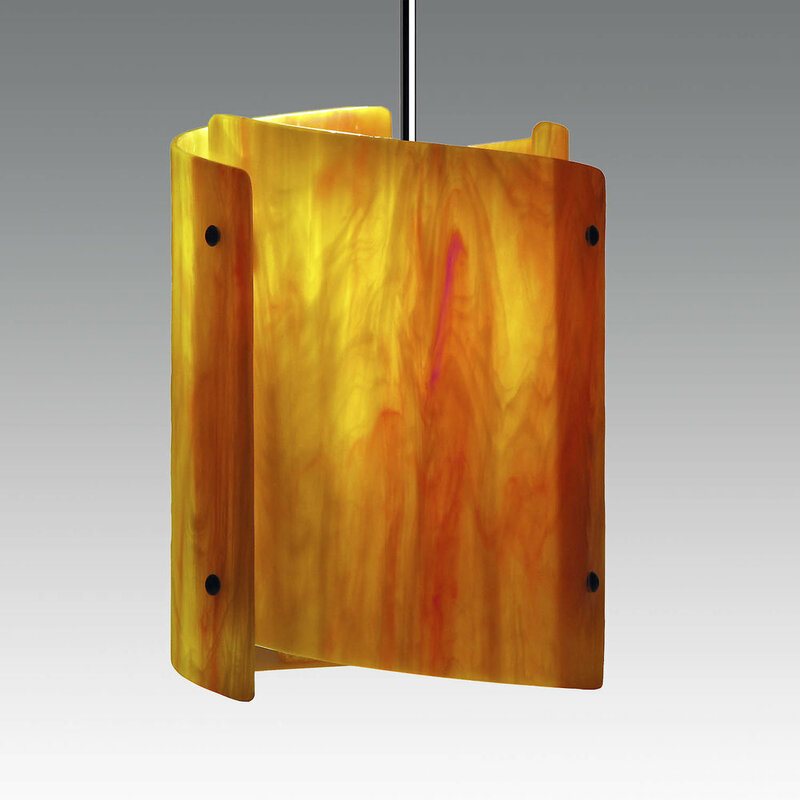 The Sushi pendants are essentially a complex cylinder of American art glass, actually formed from three separate, overlapping, curved petals, intertwining yet not touching. 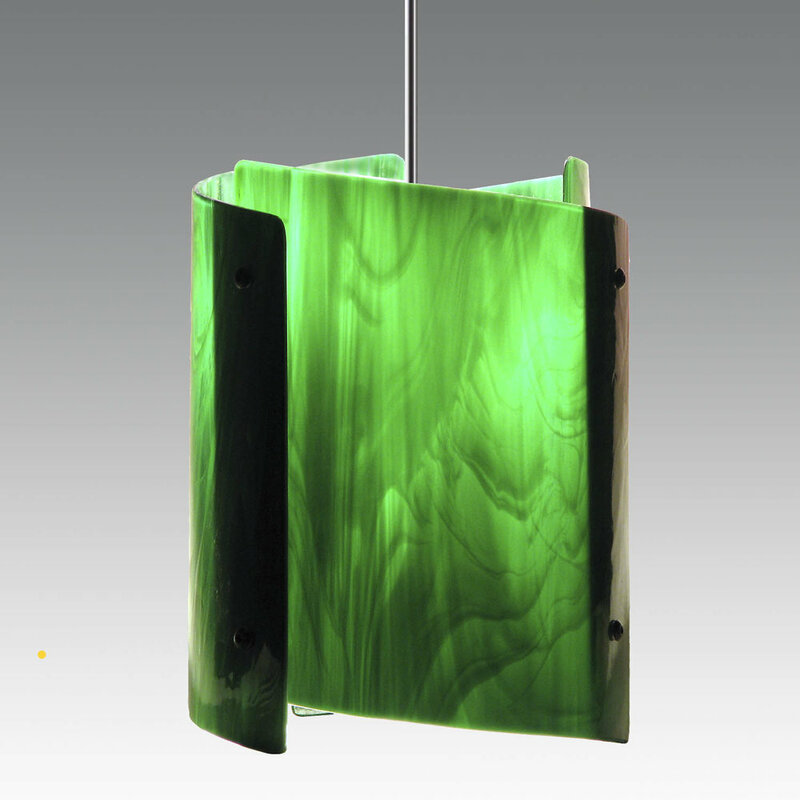 These leaves of glass are cut on the bias in a rhombic figure which adds to the grace of the light. Functioning as task, ambient and decorative lighting, the Sushis gives three times the value of other lights. The Sushis are available in the standard size (P2) and in the smaller, Mini-Sushi as shown on this page. $382 with 3 feet of ½" tubing in chrome, satin chrome, satin brass or dark oiled bronze with matching canopy and articulated hang straight. Custom colors available. Tube lengths more than 3 feet are $15 per additional foot. 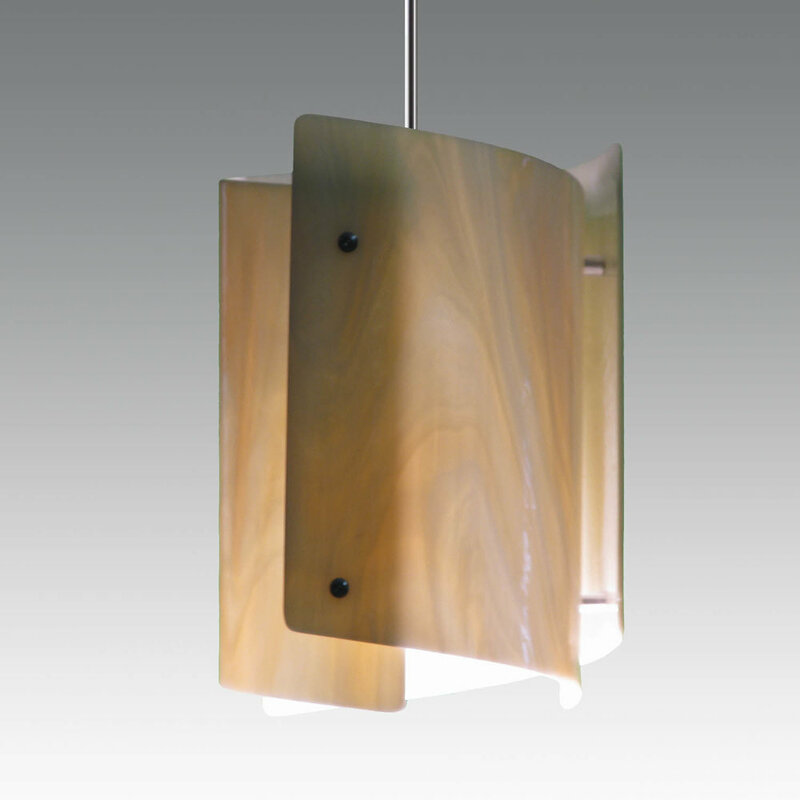 Metal drop tubes are available in brass, chrome, satin chrome or oiled bronze in ½” tubing with matching canopy and flexible hang-straight for an additional $40. Up to 3' of drop tube is included in the price. Tube lengths in excess of 3 feet' are $10 per additional foot. We need to know the exact measurement from the ceiling to the bottom of the glass so we may cut the tubing to the correct length. Cutting the tubing is best done by us on our machine tools. Check our PDF file for further information on calculating the drop tube length.